Clothianidin (CTD) is one of the latest members of the synthetic organic insecticides, the neonicotinoids. In the present study, it was aimed to investigate if daily oral administration of CTD at low doses for 90 days has any deleterious effects on reproductive functions of developing male rats. Animals were randomly divided into four groups of six rats each, assigned as control rats, or rats treated with 2 (CTD-2), 8 (CTD-8) or 32 (CTD-32) mg CTD/kg body weight by oral gavage. The significant decreases of the absolute weights of right cauda epididymis and seminal vesicles, and body weight were detected in the animals exposed to CTD administration at 32 mg/kgBW/day. Epididymal sperm concentration decreased significantly in CTD-32 group and the abnormal sperm rates increased in CTD-8 and CTD-32 groups when compared to control group. The testosterone level was significantly decreased in CTD-32 group when compared to control group. The administration of all CTD doses resulted in a significant decrease in the level of GSH. The number of TUNEL-positive cells significantly increased in the germinal epithelium of testis of rats exposed to CTD at 32 mg/kgBW/day. In groups CTD-8 and CTD-32, only docosapentaenoic, arachidonic, palmitic and palmitoleic acids were significantly elevated when compared to control. The ratios of 20:4/18:2 and 18:1n−9/18:0 were decreased when rats exposed to CTD. Sperm DNA fragmentation was observed in CTD-32 group, but not CTD-2 and CTD-8. 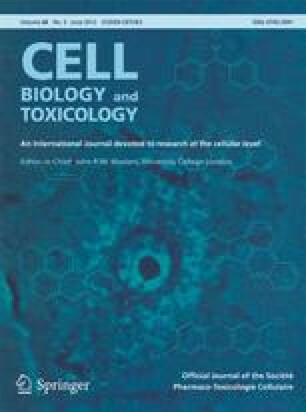 It is concluded that low doses of CTD exposure during critical stages of sexual maturation had moderate detrimental effects on reproductive organ system and more severe effects are likely to be observed at higher dose levels. In addition, the reproductive system may be more sensitive to exposure of CTD even earlier in development (prenatal and early postnatal), and therefore it could be expected that more severe effects could also be observed at the NOAEL dose levels, if dosing had occurred in utero or early postnatal. Tanaka T. Effects of maternal clothianidin exposure on behavioral development in F1 generation mice. Toxicol Ind Health. 2012. doi: 10.1177/0748233711422726.